For over 7 years, the "MOTIVATIONAL MINUTE!" has been increasing Confidence, Productivity, Positive Work Environments for 2.5 Million Daily Readers like you! Imagine getting all the nutrients and energy you need for the entire day in one single glass? Imagine getting all the knowledge you'll ever need in one single book? Well, the likelihood of this is small, but GOOD NEWS! "THE MOTIVATIONAL MINUTE!" is all the motivation you'll need, and then some! Get pumped, get excite, get ripped and ready for every day by your own personal motivation coach! More than 1.5 Million daily readers worldwide, in twenty-two countries can't be wrong! It's just not possible. If you're looking to get focused, be positive, excel in every way, and live the life you've always dreamed of living, then you've come to the right place! For less than the cost of a cup of coffee, or a doughnut, you can have the competitive edge that defines a champion and separate the super-achievers from the rest of the pack. 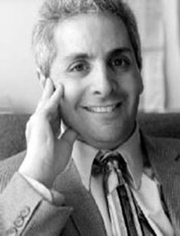 In less than a minute or two each day, you can access your most dynamic and effective winning strategies. It's easy, and it's fast! Since 1997, "THE MOTIVATIONAL MINUTE!" has been delivering daily the most cutting-edge, mind-blowing, power-pumping, motivation, leadership, positively, confidence, and sales strategies, bar none, in the world! Who Subscribes to the Motivational Minute? From the Impresario of Motivation and Inspiration, comes the world's ONLY daily publication on manifesting true and lasting success! "It's not just a matter of getting there that counts" says "Mr. 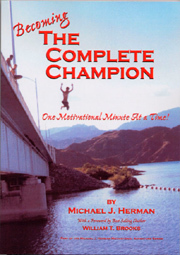 Motivation" Michael J. Herman, but that you take the most potent and motivated route to arrive at your destination." Since 1997, "THE MOTIVATIONAL MINUTE!" has brought readers worldwide, a different way of maintaining high levels of motivation and self-confidence, and training the world in Leadership and winning strategies. From problem solving, to management techniques, to playing full out, "THE MOTIVATIONAL MINUTE!" has everything you'll ever need to win, and WIN BIG! "THE MOTIVATIONAL MINUTE!" never repeats. Every day is brand new. So is the message. Everyday turns the crystal just a bit to show you not one, but one thousand ways to be your best! "THE MOTIVATIONAL MINUTE!" delivers what no one else in the world can ... the real way to succeed, no matter who you are, or what game you play! AND IT'S GUARANTEED, Absolutely! If you're not completely satisfied with the results you achieve, let us know. We'll refund that month's subscription price, no questions asked! Are you a corporation, organization, or government agency? Do you have a vested interest in reinforcing the principals of Leadership, integrity, confidence, and work ethic? Then "THE MOTIVATIONAL MINUTE!" is just what you've been looking for! There are two kinds of people in this world. Those that act and be great, and those that watch others achieve greatness! The only questions you must ask are: Can I afford to get "THE MOTIVATIONAL MINUTE? ", and "Can I afford not to get "THE MOTIVATIONAL MINUTE?"